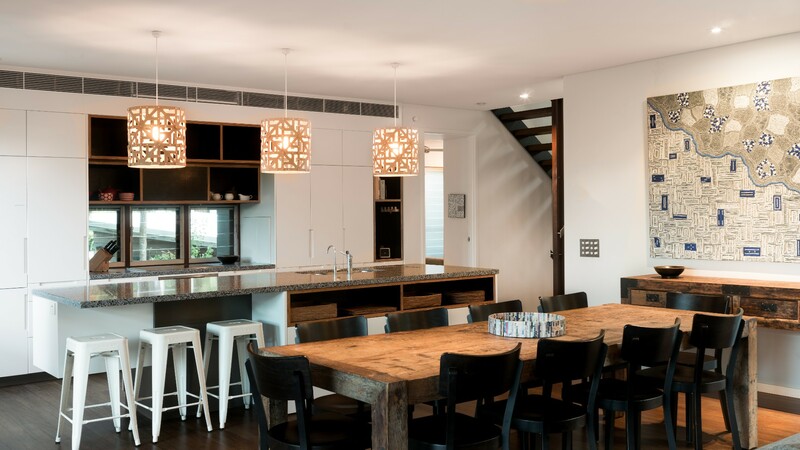 Ayana Byron Bay is an architecturally designed, 4 bedroom luxury beach house just moments from The Pass and Clarkes Beaches in Byron Bay. 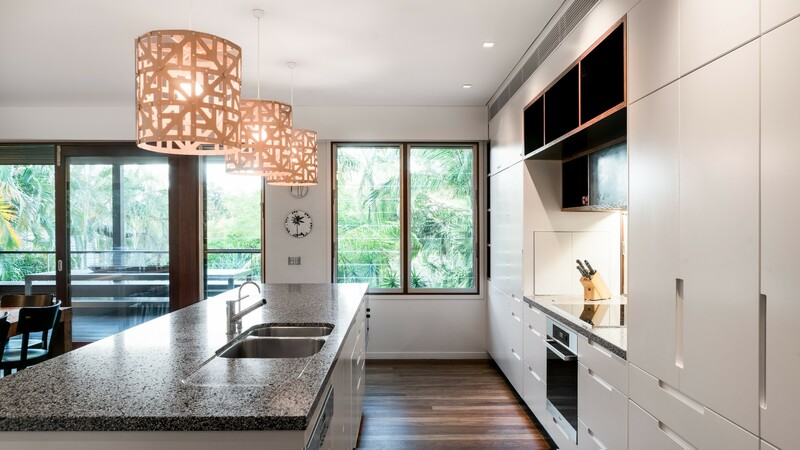 The spacious property is so close to the beach yet offers privacy with well-established surrounding tropical gardens and lush subtropical views of Arakwal National Park.Split across 3 levels to maximise space and views, the property is spacious and lightfilled with delicate whites and timber features throughout. 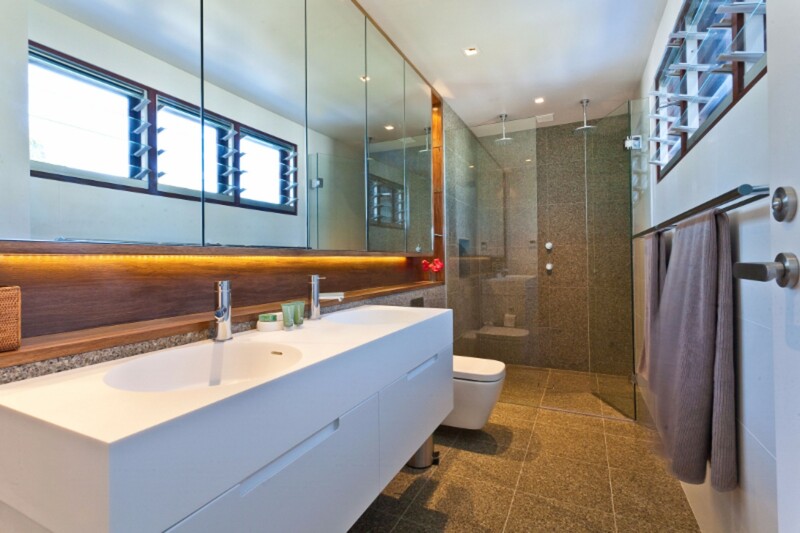 The lower level offers the outdoor hot and cold shower, as well as the 2 car garage with internal entrance. The second level offers all living spaces including kitchen, dining, 2 living areas, a bathroom and outside dining. The top level includes all four bedrooms and 2 spacious bathrooms. 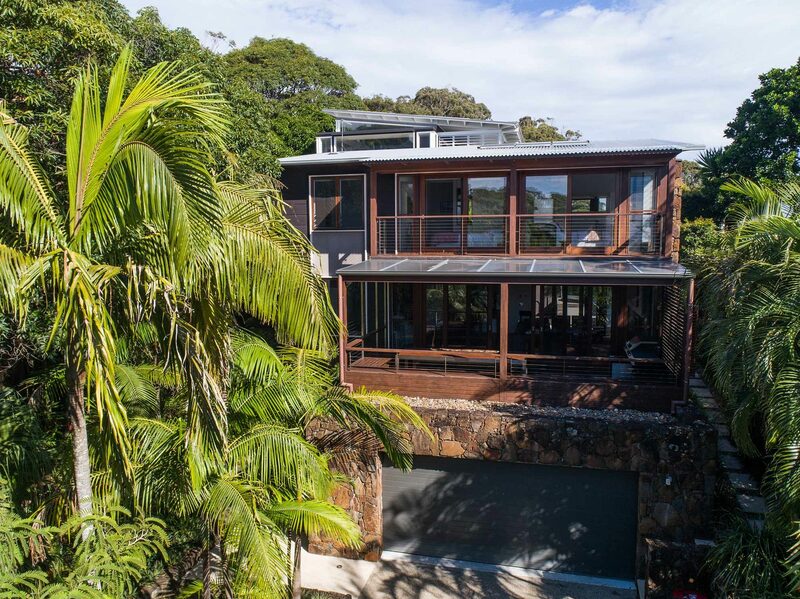 The dark stained weatherboard exterior cladding and local basalt stone feature walls ensure the house merges into the beautifully landscaped context of the surrounding tropical garden and is environmentally friendly with solar powered hot water and private rain water storage. 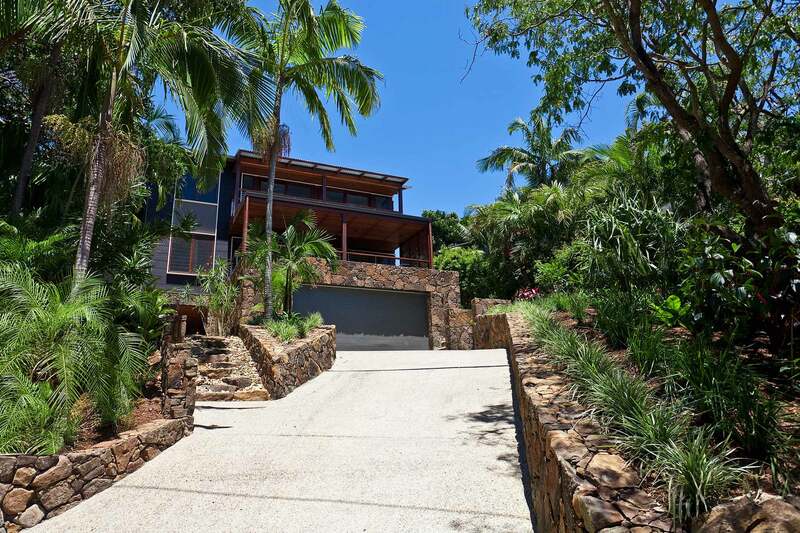 Beachside location - only 2 mins walk to Clarkes Beach and The Pass, 15 mins walk to town and at the base of the famous lighthouse loop walk. 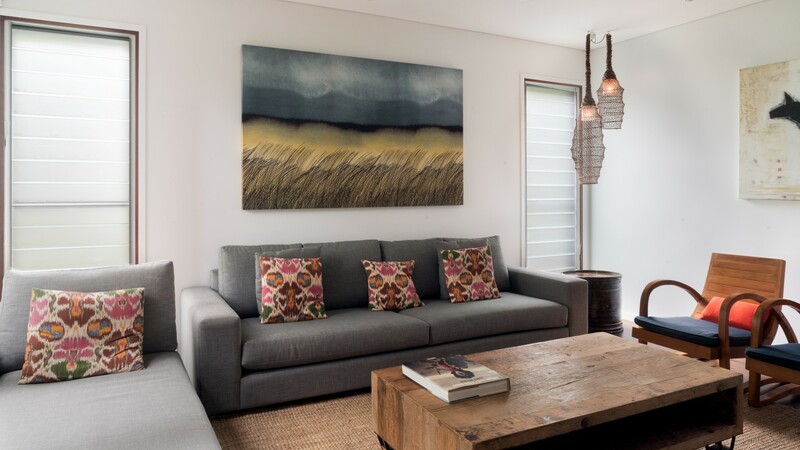 Ayana is beautifully presented with designer furniture, art and photography throughout. 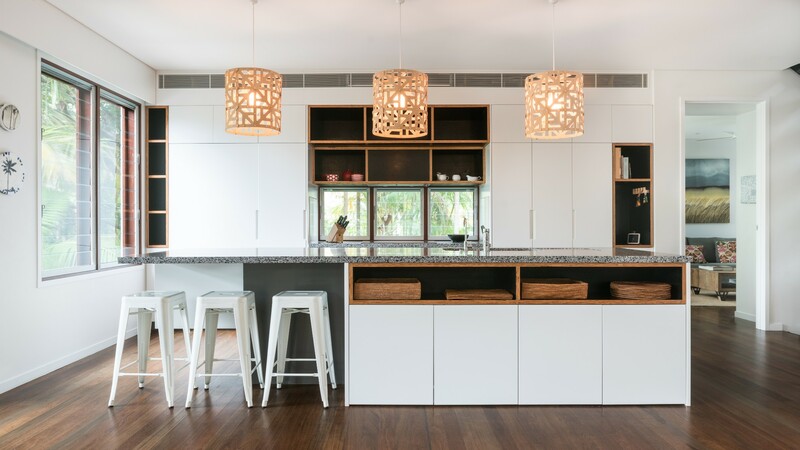 It features a spacious and fully equipped designer kitchen complete with white cabinetry and timber features, hidden fridge and Miele appliances. 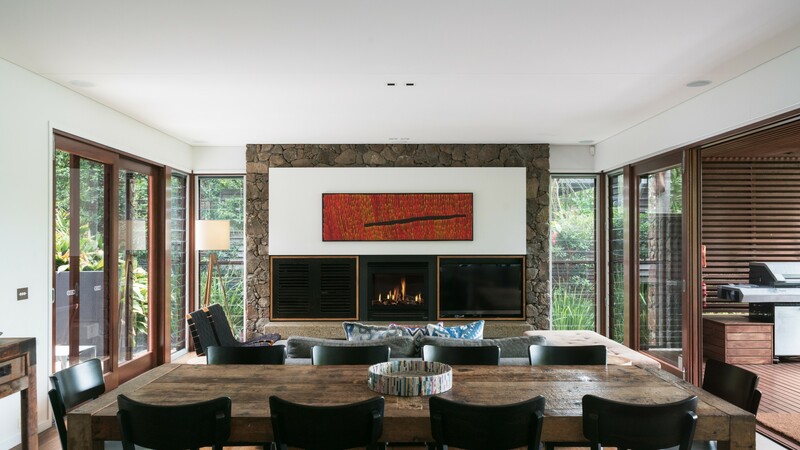 The open plan kitchen/dining/living room features stained timber floors with large designer rugs and extends through timber framed large sliding doors out to the extensive, north facing covered deck with built in bench seating, large outdoor table and BBQ, perfect for relaxing and dining. 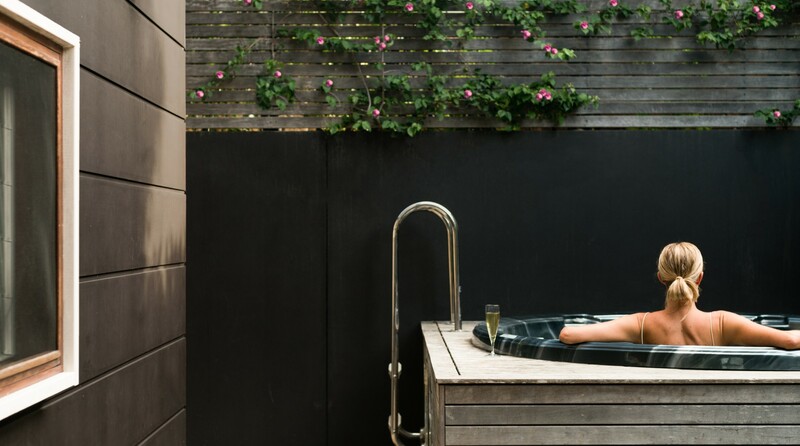 To the rear of the living area, guests will find a private courtyard complete with luxurious and elevated 6 person heated outdoor spa, perfect for relaxing and unwinding in both summer and winter. An additional living room located away from the main living area provides a second living/TV media room and study desk with wireless Internet - perfect for kids to escape while the parents can relax and enjoy the main living area. The four large bedrooms all feature built-in robes, sisal carpet, and ducted air-conditioning with private temperature controls in each room. 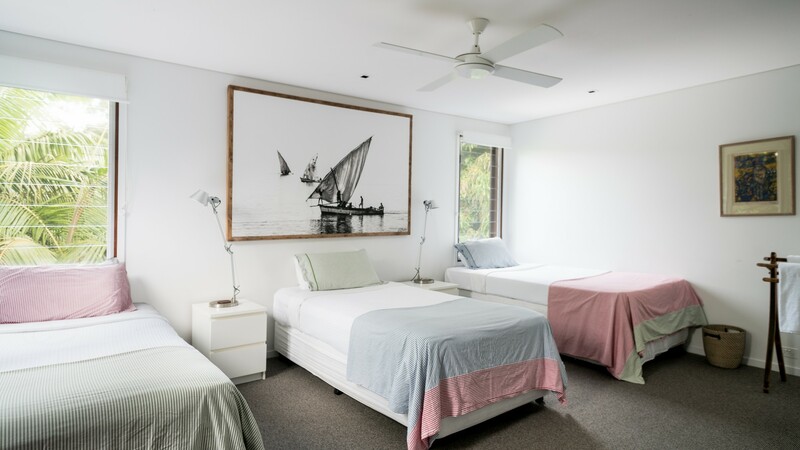 All bedrooms are located on the same level, with two bedrooms opening out through sliding doors onto the balcony to enjoy the north facing ocean glimpses. 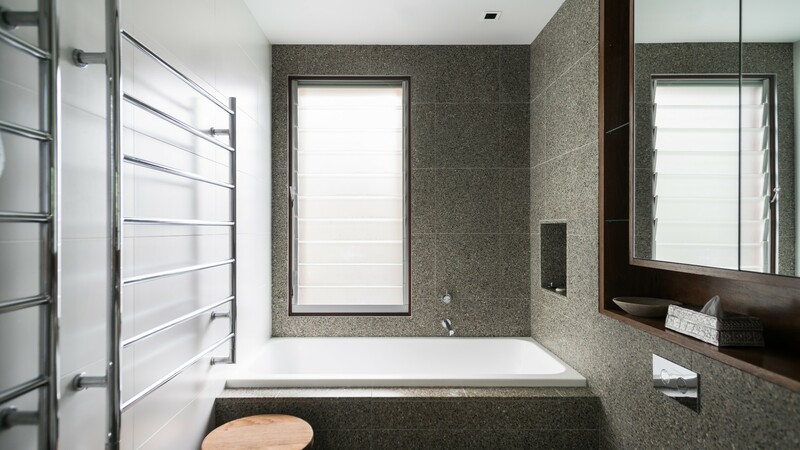 Bedrooms 2, 3, and 4 share a spacious bathroom, and an additional bathroom with shower is located on the main living level. 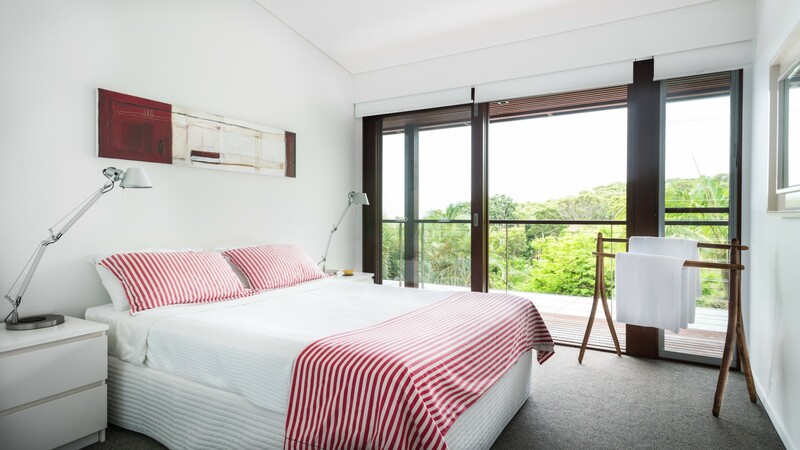 Ayana is the perfect luxury beachside holiday house in Byron Bay, one of Australia’s most renowned holiday destinations. Walk 2 minutes to Clarkes Beach and The Pass along a beautiful bush track. 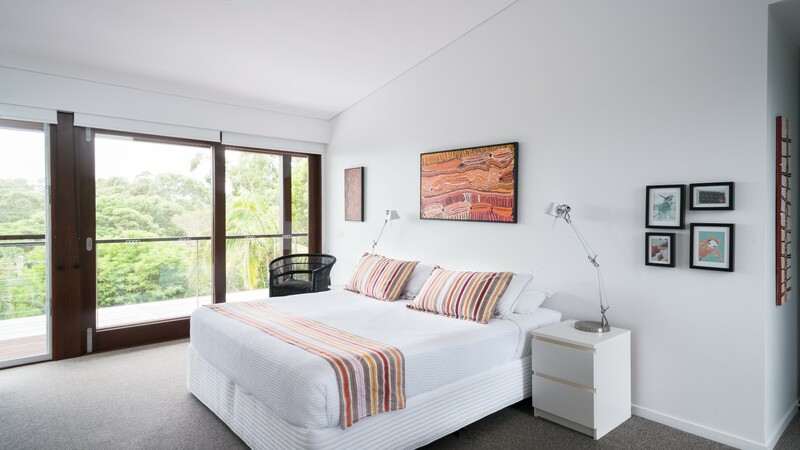 Continue along the beachside track and arrive in Byron town centre and the vibrant restaurants and attractions just 15 minutes' stroll away. The famous lighthouse walk is a beautiful 20-30 minute loop from Ayana too and includes a beachside track along Cape Byron and Wategos before heading up to the lighthouse and returning to Ayana. Our group had the most enjoyable time at Ayana. 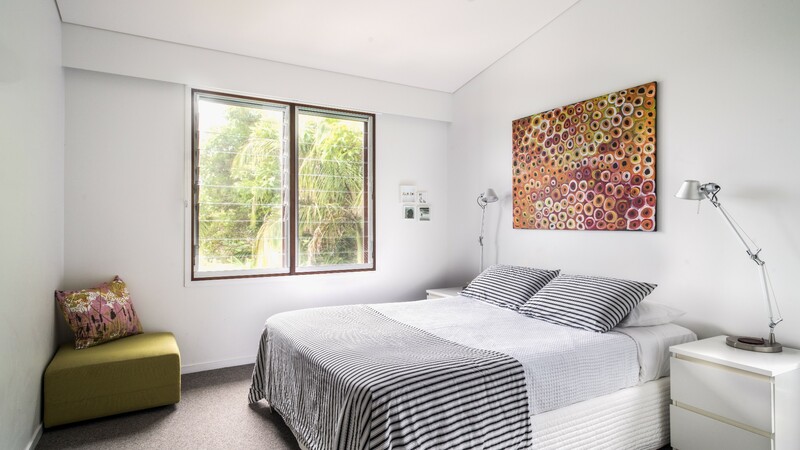 The house is well equipped and perfectly situated within walking distance to the beach. The managers were there to greet us at check in and were also easily contactable throughout our stay. One of the most beautiful houses I have ever stayed in! 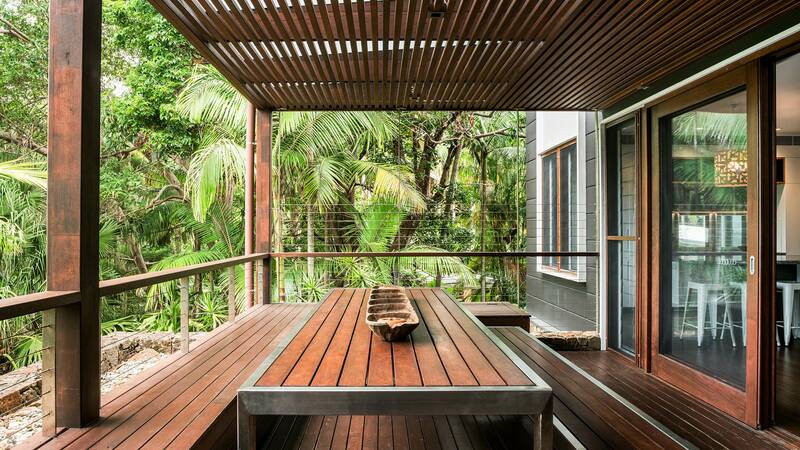 Stayed here for a short stay in Byron. It had everything needed for a wonderful stay. The house was stunning and easy walk to the beach.